Moving is an already hard and a stressful thing to do. 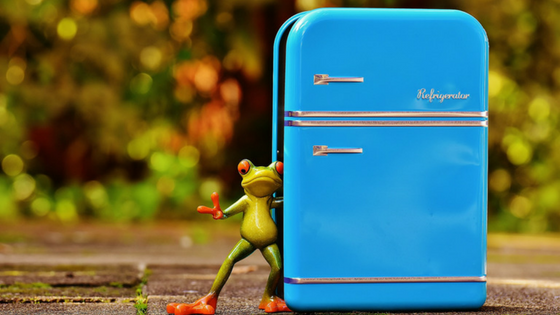 Just thinking about moving your large appliances, it can become an almost impossible thing to do if you don’t know how to do it properly. This is the reason why many real estate transactions include these appliances as part of the final deal. 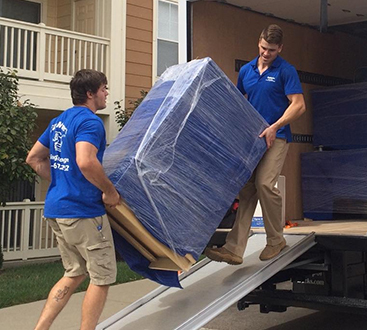 Having said this, planning your move ahead of time will help you a lot, and it will also diminish the stress associated with the whole process of moving. Here is a list of tips that will make moving easier, but also will help you protect your floors, walls, and of course, the appliances themselves from damage. 1. Plan ahead and take the right measurements. If you want to know if your appliances will fit through the doors, avoiding unnecessary problems, you should measure everything. If you do not do this, you may need to remove some doors or make space using brute force, producing more damage than good. Having the measurements will lead you to plan the move and preparing the appliances for it. 2. Do a proper cleaning. You should not overlook something like cleaning your floors from stones, dirt, mud, or other things that when moving can damage your property more than the appliances themselves. Plan ahead and leave that place clean as a whistle, and ready for moving. After cleaning the whole area where your large appliances will remain in the new property, you should put down a protective cover. You can use simple cardboard but is the least helpful material to use for this purpose due to its tendency to move and produce little damage such as scratches on the floor. Old carpet pieces or runners are a way better solution to protect your floors. If you want, you can put some temporary flooring for excellent protection. When used in the right way and on a clean floor, these methods will eliminate any potential tread to your property. 4. Correctly prepare your appliances. Fridge: remove any remaining food from inside it. Unplug the refrigerator and do an extensive cleaning inside and out, then leave the door open for a whole day to eliminate moisture. If the handle is removable, you may want to do so for better handling of the appliance. Close the door and wrap the whole thing to prevent this from opening while moving. Stove: turn it off, remove the racks and surface grids, and clean the exterior. Secure the knobs and the door shut with tape or plastic wrap. Dishwasher: disconnect the power off and all the hoses. Like the fridge, leave the door open for a whole day to eliminate moisture. Secure the internal and external loose pieces inside, and shut the door with tape or plastic wrap. Washing machine: shut the power off and disconnect all the hoses. Like previous appliances, leave the door open for a whole day to eliminate moisture. Place the loose parts inside and secure the door with tape or plastic wrap. Dryer: disconnect the power off, clean the lint screen and exterior parts. Then secure the door with tape or plastic wrap. 5. Do not do it alone! This is not an easy task to do alone. Ask your family or some friends to help you. You will see that this way, moving will not be annoying and stressful at all. Also, moving turns safer and easier. If you can, you should buy or rent some specialized equipment such as trucks, dollies, gloves, correct footwear, etc. 6. If needed, hire professional help. 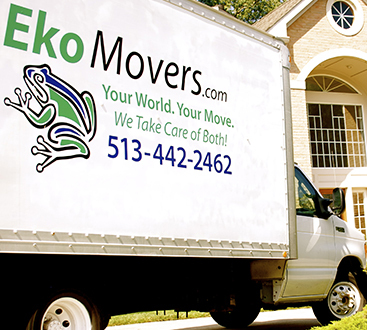 If you want to leave this process to the experts, nowadays there are plenty of moving companies that will gladly help you and EkoMovers is one of them! Now you are ready for making your move. With proper planning and a few helping hands, you will be moved in no time. Happy moving!